On 10 January a LEAP work party at St George's Park undertook a variety of tasks including filling in the mysterious holes that had appeared on the wall garden under the hedge. The cause of these excavations was not clear and while badgers were cited as the prime suspects, others thought foxes and two legged burrowers were not entirely ruled out. The soil from the holes had been trodden into the path below the wall, it was collected up by LEAP volunteers and the holes were filled in again with the displaced soil, a few uprooted strawberries were replanted and the job's a good un as they say. Meanwhile on the Ring Road perimeter of the park other LEAP volunteers were weeding and collecting soil that had leaked out of the park through the railings onto the pavement and were using it to fill our third and fourth raised beds. It's sandwiched between the Ringroad and Radford avenue. There are four entrances to the Park, St George's Ringway, Radford Avenue, Coventry Street and Silver Street. What's in St George's Park? Interactive play area designed for children up to the age of 14 years. It contains 10 pieces of equipment including toddler unit, swings (flat & cradle), games panel, inclusive springy, blazer see saw, spinner bowl, talking tubes, junior unit, supernova and proludic. These are sited within a fenced area with wet pour rubberised safety surface. Well used and in great condition. The Paddling Pool is contained within a gated and fenced area. Multi use games area that is ideal for football, basketball and cricket. Floodlights are available from dusk until 9.30pm everyday. Friends of St George's Park obtained funding to employ a local Graffiti artist to hold 2 workshops with local young people during February 2010. Over 25 young people were involved producing the finished artwork which has not been damaged or defaced since it was completed. In 2013 a light was fitted to the shelter following requests from local residents. 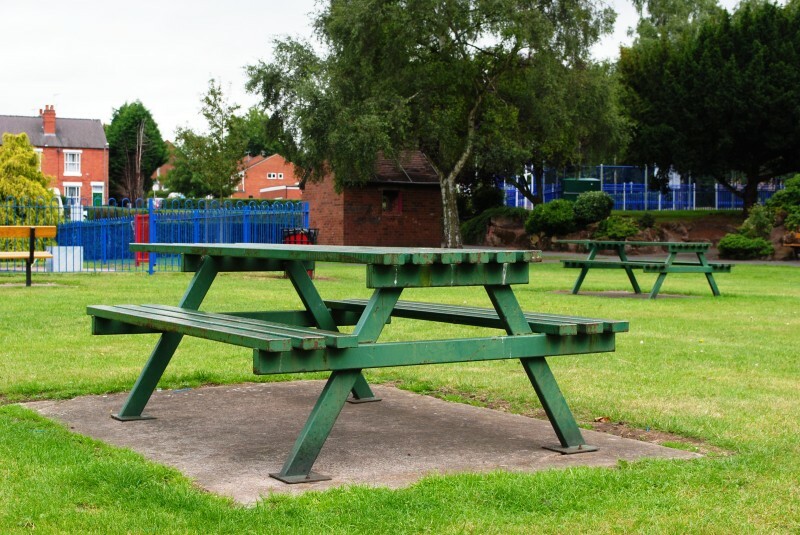 There are 6 picnic benches in the Park, ideal for using if you are spending time at the paddling pool or children's play area or for having a picnic. 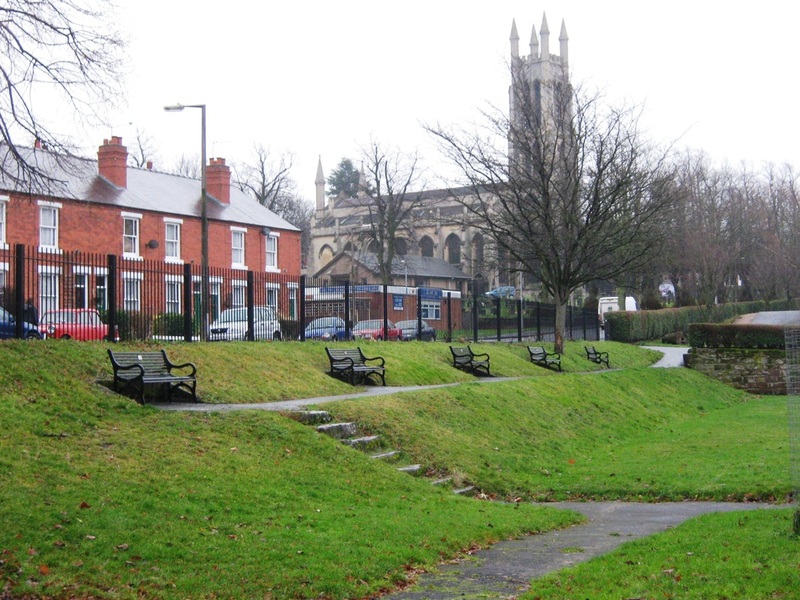 This is a popular picnic spot often used at lunchtime by people who work in the centre of Kidderminster as well as local people relaxing.. 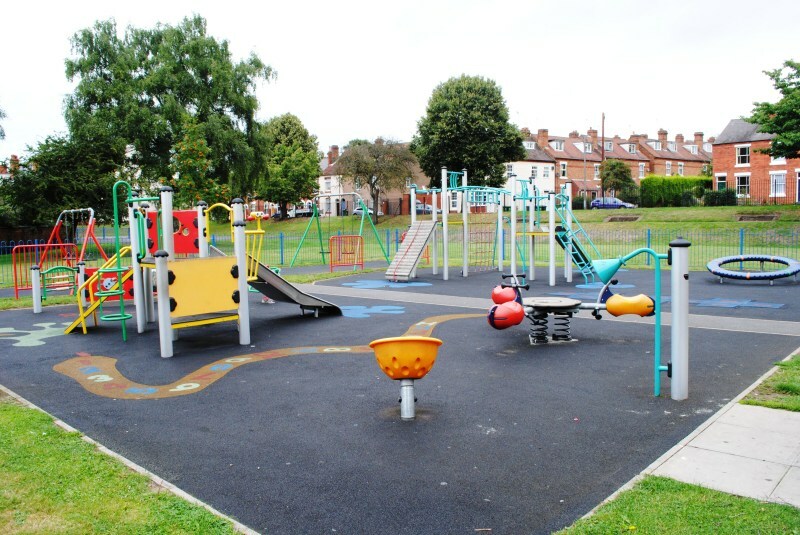 This was installed in 2008/09 by WFDC using external funding (Playbuilder). 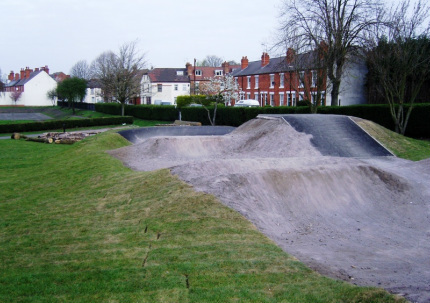 This is a well designed track used by young people from all across the Wyre Forest district. The track is used on a daily basis and is a great addition to the park. Hard surfaced tennis court with a fixed metal tennis 'net' which available for free use all year round. 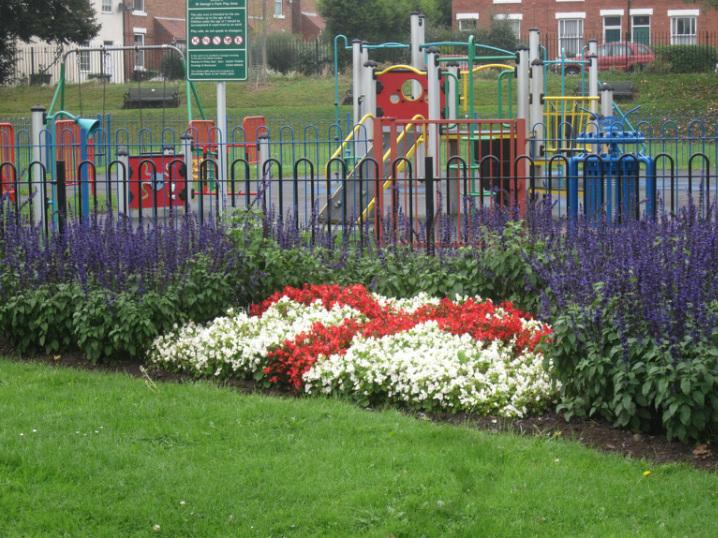 The top end of the park has a large grassed area which is where the kissing gate gives access to the park from Coventry Street next to the Co-op Child Care Centre. Ideal for dog walking and picnics. This is the location of the wild flower meadow which is still a work in progress. 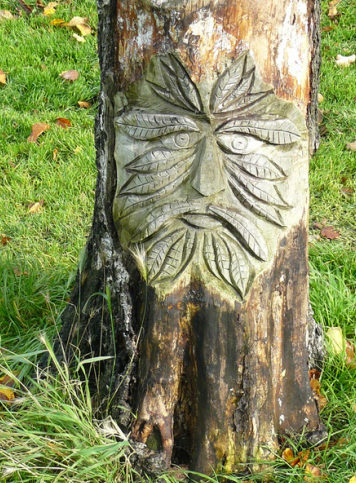 At our community fun day in April 2011 a chainsaw artist carved a wooden stump into a Squirrel! Why not visit and see if you can find him.